I don't take any responsibility for any answers. I've been in medical school for the past few years. I was curious to know your opinion about this political party. I find it very interresting because they look to defend muslims values and they even have shia muslims in their party. So what do you think about it ? That would be even more interresting to have the opinion from shia pakistanis. [...] from the Prophet (pbuh&hp) that he detests wearing black except in three: the shoe, the cloak and the turban. Thanks for your response just in a logical manner this means if your supposition is true that you are saying your prayers all of the prayers making the face towards black clothed Kaaba and these will all be makrooh then? No my brother this supposition is not true.I do not consider it makrooh in any manner. You're comparing apples to oranges. The brother asked about wearing black. How the Kiswah fits into the argument here is beyond me. Besides, it used to be white during the Prophet's (p) time! Question: Is it permissible to wear black on an ordinary day when it is not coinciding with the martyrdom of one the fourteen infallibles? Answer: It is permissible but it is reprehensible (makrooh) to wear full black. Maybe later if I have some more time I can dig up a couple of ahadith that I recall from Al-Kafi that state the same. A lot of airports are now heavily invested in offering quality services to passengers and making their transit comfortable. I happen to have had transits at a lot of Middle East airports and I've really come to enjoy airports that are kind to their passengers (and cognizant of the fact that travelling is a tiring and unpleasant experience for many who are forced to do it for work and/or family). I think they also carry an enormous responsibility of representing their countries/cities for the short duration that passengers stay there. Abu Dhabi and Doha are probably at the top of my list of favourite Middle East airports. Muscat was also surprisingly serene. Riyadh inaugurated a very impressive domestic airport recently. Dubai has become too crowded with multiple airlines using it as a transit destination. I recently had a 4-hour transit at Sharjah airport and it was terrible. It smelled, the WiFi wasn't complimentary and I couldn't find a place to sit. Air Arabia is pennies on the dollar so I guess this is where they make their cuts lol. I know about the Babri Masjid issue but never knew that the Shias of India claim it as their mosque! This is pretty interesting. In any case, their position seems to be pretty sensible. If they did indeed own the land they have a right to decide what happens to it. And even if they don't, Babri Masjid has become an unnecessary war of egos for Hindus and Muslims of the subcontinent that has claimed countless innocent lives. This issue needs to be put to rest even if it means one side conceding to the other. 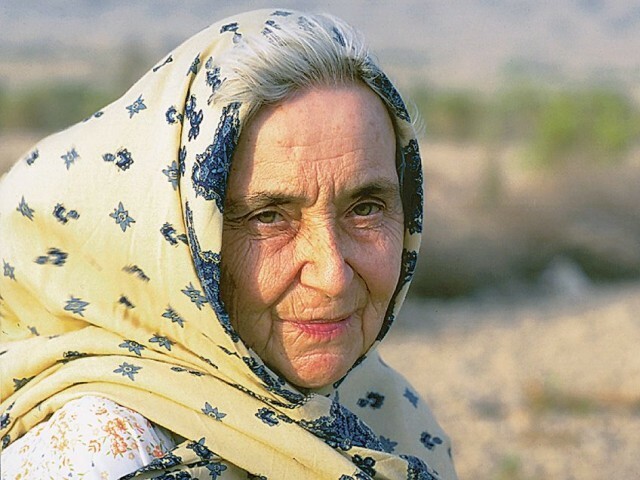 Pakistan's Prime Minister Shahid Khaqan Abbasi announced in a statement that a state funeral would be held for Ruth Pfau who died on Thursday aged 87. "She gave new hope to innumerable people and proved through her illustrious toil that serving humanity knows no boundaries," the statement said. "We are proud of her exemplary services, and she will remain in our hearts as a shining symbol in times ahead." Pfau trained as a doctor in her youth and went on to join a Catholic sisterhood. She arrived in Pakistan, where she spent the rest of her life, in 1960. She specialised in the treatment of leprosy, a disease that causes discolouration of the skin, sores, and disfigurements. Pfau's work earned her the Nishan-e-Quaid-i-Azam, one of Pakistan's highest civilian awards. But in the Prophet's case or back in the day, someone would be pouring the water for him so it would be easier to control the water flow. I don't think the Prophet (p) always had someone pouring water for him!! (think Tahajjud or all the other prayers offered in private when no one would be around/awake). While almost all of us get anxiety at some point it's a medical disorder when it happens disproportionately or inappropriately to the events causing it. It is unlikely that someone over the internet can help you. As a medical professional myself, I can't stress enough how important it is for you to seek professional help. Anxiety disorders can usually be treated by psychotherapy and/or medications but the longer they are left untreated the more difficult it may become to treat them. I understand that it's difficult to ask for help without adequate support from family or friends, but you must take the first step and approach a clinical psychiatrist/counsellor/clinical psychologist yourself. I hope and pray that things get better for you inshaAllah. Has anyone been following the Google controversy surrounding an internal memo (later made public) circulated by an engineer criticizing what he calls Google's discriminatory diversification practices? I attend a university where this debate about gender roles and stereotypes is triggered every couple of months so I'm fairly familiar with the subject. Naturally, I was interested in what this guy had to say in his memo that got him fired. I was expecting a very aggressively opinionated piece filled with a guy mansplaining gender issues (after all, it was enough to get him fired). So either I don't fully understand the flip side of the argument or the guy was really good at making his opinion sound like facts because I don't think I disagreed with a lot of what he had to say. He seems to have backed up much of what he says with scientific evidence. The gist of his argument is that men and women are inherently different biologically so they can't be expected to make similar choices while picking occupations and professional specialities. He says this all the while admitting that the gender-specific biologies are not binary and on a spectrum that overlaps (so one can't state that such-and-such profession is for a specific gender alone) and also supporting the idea of greater diversity in the workplace albeit minus the discriminatory practices to promote it. Admittedly he also makes some statements that appear blunt and unsupported by evidence (then again this was meant for internal circulation not a journal). This theme and argument (biological difference in gender and gender roles) is one that I've seen spring up in many gender debates (issues of testimony and inheritance etc.) on ShiaChat as well over the year. Unfortunately, much of what he's saying is considered politically incorrect in the times we live in. For those interested, James Damore's (the Google engineer who got fired) full essay/memo can be found here. It's an easy read and would recommend everyone to read it and maybe ask yourself what you find correct/incorrect about his views. Since the news became public people have expressed their infuriation with the memo but some others have also expressed their support. 4 well-credentialed scientists have written pieces voicing their support, from a purely scientific perspective, for the memo and its accuracy. Obviously, I'd encourage you to read the memo before you read their pieces. I'd be interested in knowing what some of the other members here think about this issue. Taking into consideration 194 Million the breakup between Sunni and Shia Muslims is that around 135-145 Million(70-75%) are Sunni Muslims which makes it the 2nd largest Sunni Muslim population in the world after Indonesia. Around 50-60 Million(25-30%) are Shia Muslims which makes it the the 2nd Largest Shia Muslim population in the World after Iran. The Shia Muslim population of Pakistan is almost entirely Athna Ashari School of thought with very minor numbers of Bohri,Ismaili,Zaydi etc. Two sentences into the first paragraph and I realized that something didn't sound right about the language being used (too biased and opinionated). Then I realized I was on the website of The American College of Pediatricians (ACPeds) which is not the main, authoritative body of pediatric practice in the US. That's the American Academy of Pediatrics (AAP). ACPeds is actually an offshoot of AAP and is a protest group made and run by conservative pediatricians who were opposed to the pro-LGBTQ stance of the AAP on several issues. Nobody really pays attention to this aberrant group anymore lol. While I haven't really analyzed their article and their references (don't think it's worth anyone's time to do so tbh) these groups tend to be selective in quoting medical literature to support their point of views. Kind of like the anti-vaccination groups among the medical fraternity that repeatedly quote flawed studies to prove their point. I know we'd like scientific evidence to fit our Muslim narratives but I'd personally be happier if we don't look like we share our values with a group as un-scientific as ACPeds. Aside from conjoined twins, no human is born with two hearts. But is there a possibility of having two hearts in human body? How do you do that in shower? Just stand beneath the shower, is that all? Yes and you follow the sequence of head and neck -> right side of the body -> left side of the body. It doesn't matter, for example, if while you're washing your head water flows on your body too (as long as you wash the part you do intend to wash at that particular moment, thoroughly). It's possible with both a hand-held shower and a fixed shower. Alternately, you can use a jug that you fill and pour over your body parts in the prescribed sequence. This method will probably help you save water and is more in line with the recommendation to not use an excessive quantity of water while performing Ghusl. But I suppose this method is also less convenient, would take more time and I'd be wondering at the end if I was thorough enough with my washing. Discussed elsewhere here and here. Rules for performing Ghusl Tartibi a/c to Agha Sistani here. This is an overly simplistic way of looking at personality traits/disorders and mental illness - 'just let it go'. There is one popularized item you posted l do not think is reliable: the preference for blond hair and blue eyes. This is not an attractive combination for most people --especially if the parents do not have them. l should note that l think this is true despite the fact that l personally do not like blonds. Similarly, the "big blond [American] football player" falls into the same myth. How many people are going to spend Big Money to produce a 'dumb jock' that will acquire Chronic Traumatic Encephalopathy (CTE) --with acquired emotional problems and vegetating brain ? True, true. I only meant it figuratively like the descriptions in idioms that are used to show admiration/favoritism: 'his blue-eyed girl', 'their fair-haired boy' etc. So, what is your reaction? It's a stunning development. We have the ability to prolong life, prevent premature death and decrease human suffering due to death and disability. It is the future of medicine. As for designer babies, and picking blonde hair and blue eyes with superhuman strength for your offspring, there are correct and incorrect uses of everthing. People can get intoxicated by something as harmless as cough syrup. Doesn't mean you ban cough syrup. The more widespread use of CRISPR will depend on, among other things, effective legislation limiting its use for medicine. Surgeries are being performed in utero (eg: for spina bifida) and gene therapy is being used to treat genetic disease in children (eg: Duchenne and Becker muscular dystrophy) so I don't see why we can't start at conception. @starlight l read 1st-cousin marriages are currently a contentious issue in Pakistan because of the number of birth defects created. So what is your thought? The cousin-marriage issue is blown out of proportion in Pakistan imho. It's not nearly as bad as people claim it is. The risk of congenital defects is only mildly higher in children of consanguinous parents. The vast majority of children of consanguineous parents are normal. In many cultures and societies, cousin marriage might actually be beneficial. While I don't intend to promote cousin marriage, it's important to check your privelege and the reliable evidence available against cousin marriage before we start fear-mongering and schooling people about it. lt is a new school year. So l enrolled again for the Remedial Cooking class. When l went to our first class, my old teacher was so glad to see me she cried. Well i am not particulary a fan of Saudi Arabia but seriuously.... bikinis in hejaz the holy land where the Holy religion of Islam had been revelead to Muhammad (saws) ? I find this really shameful and unacceptable to permit this on a holy land like that. What do you think about that dear brothers and sisters ? This isn't news. The author of the article (well it is ladbible so I don't really have to question its credibility) is grossly mistaken in assuming that women don't already wear beachwear/bikinis at resorts in Saudi Arabia (in Jeddah mostly which is about an hours drive from Makkah).